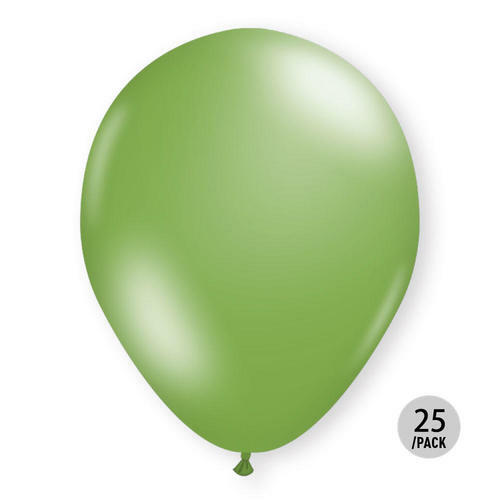 Light Green Metallic Balloons Helium Quality 12" 25Pcs LivingBasics™Balloons are beautiful and fun addition to any party. They are not just for kids parties, they can be used anywhere anytime and for any occasion you wish to celebrate. Whether it is a party in the office, a Christmas bash, a baby shower, wedding, or a casual party for friends, balloons seem to be an essential of party supplies. Decorate your party space in color! Mix and match them with other colorful decorations for a festive atmosphere! The package includes 25 balloons. Perfect for parties and balloon bouquets!